Sheltering from the torrential rain on our latest residency period for Variable 4 Portland Bill, we paid a visit to the Portland Museum. It’s a fascinating place, detailing the area’s maritime and quarrying industries, packed with relics, myths and anecdotes. 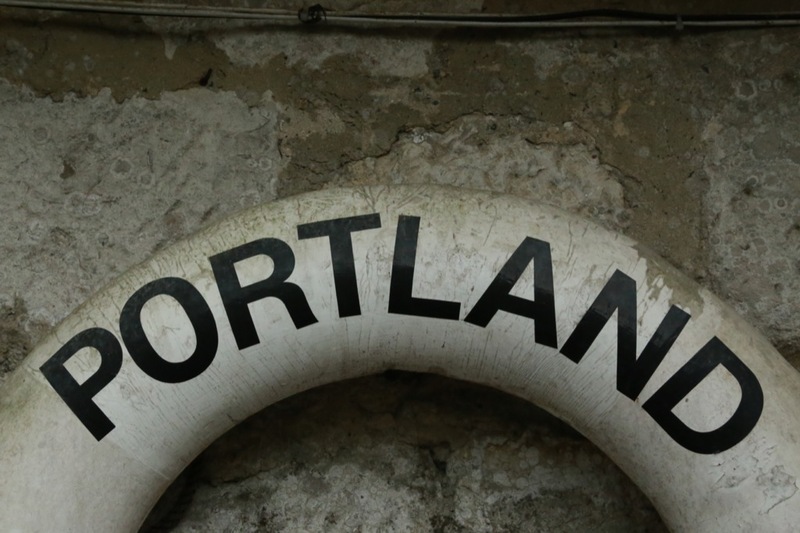 The currents and tides around Portland are notoriously turbulent, most notably the “Portland Race” beyond the southern tip of the peninsula, in which two opposing tidal flows collide and create treacherous and unpredicable conditions for boats. It is for this reason that Portland has no fewer than three lighthouses. 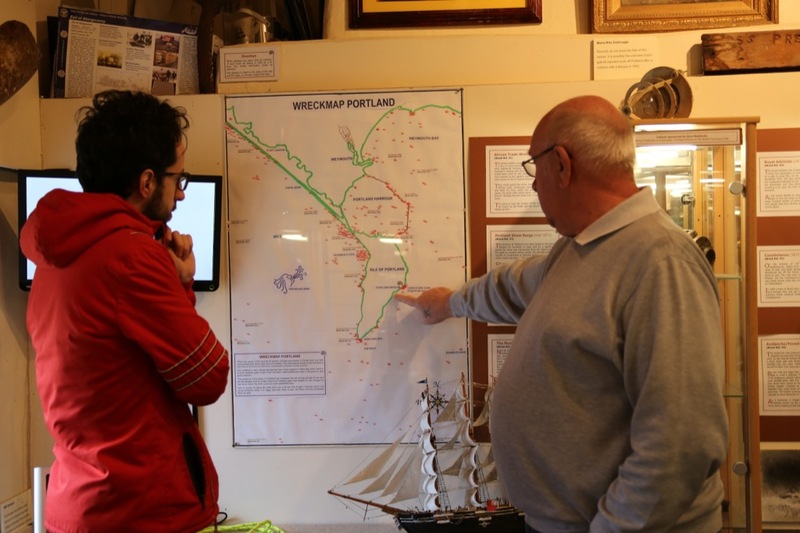 Despite this, countless wrecks have taken place around its shores, mapped and described by the museum’s knowledgeable guides. 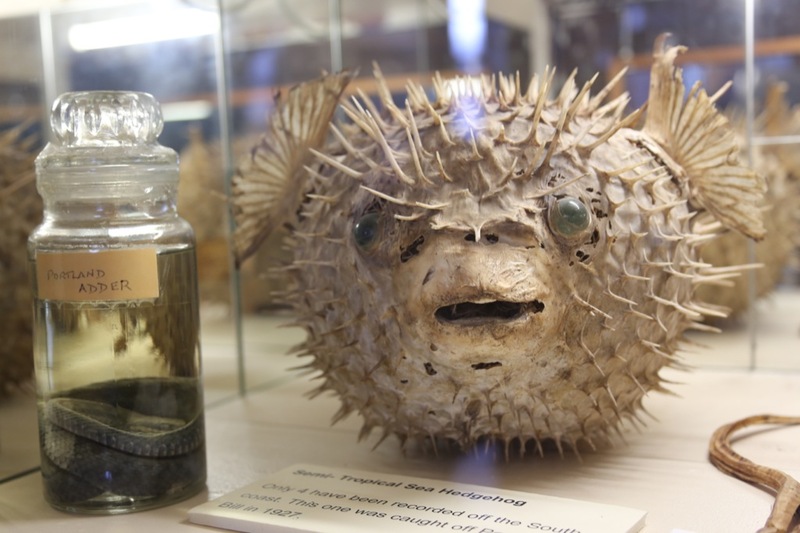 We also couldn’t help but admire a preserved tropical sea hedgehog, one of only four recorded off the South Coast of England.